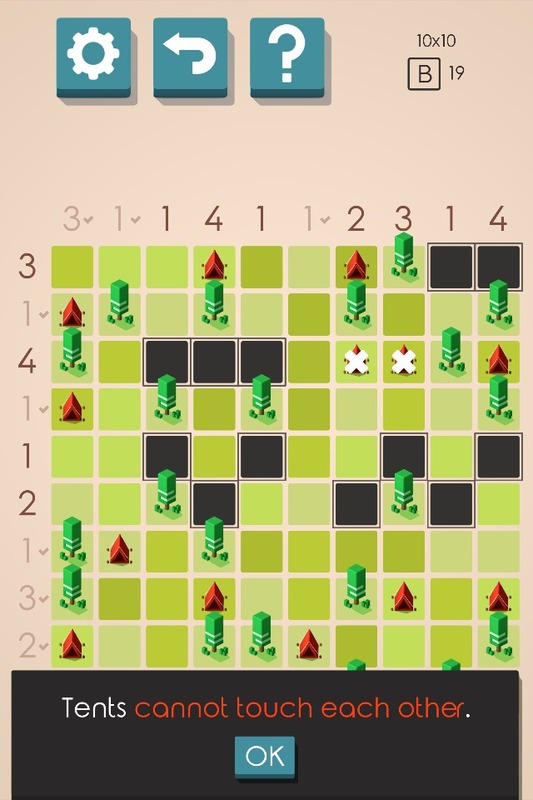 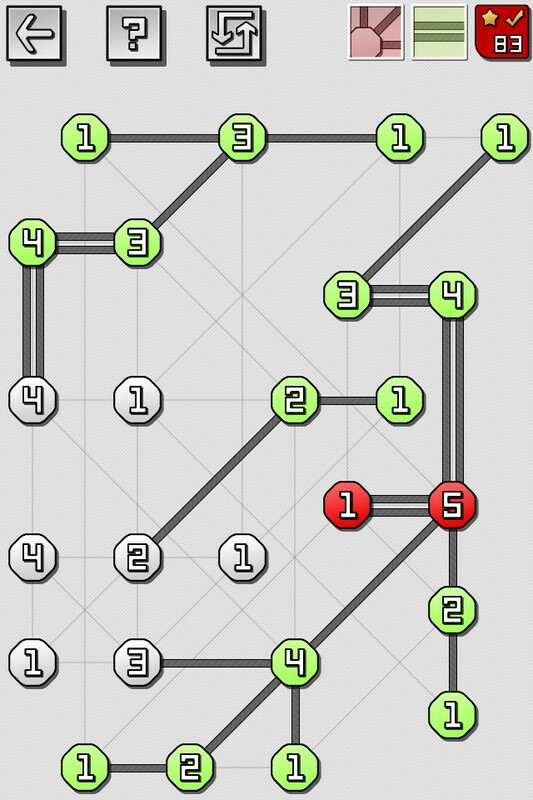 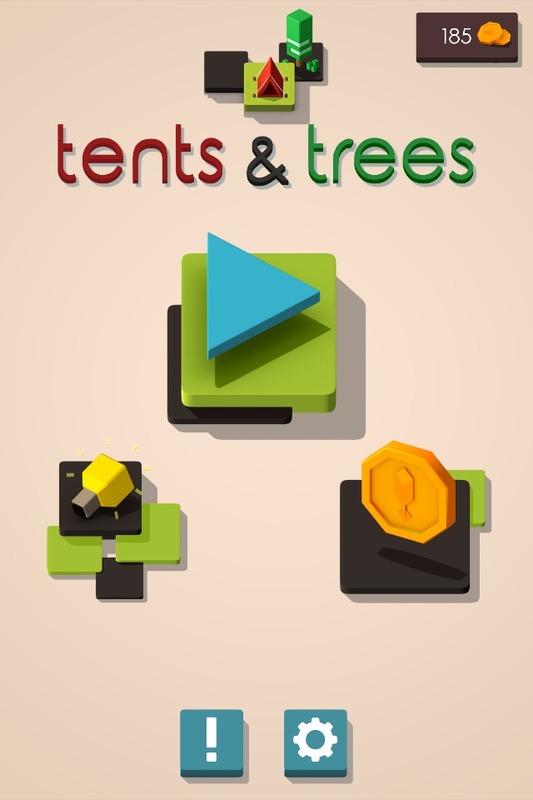 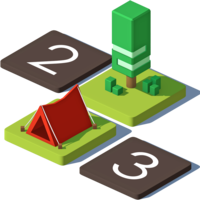 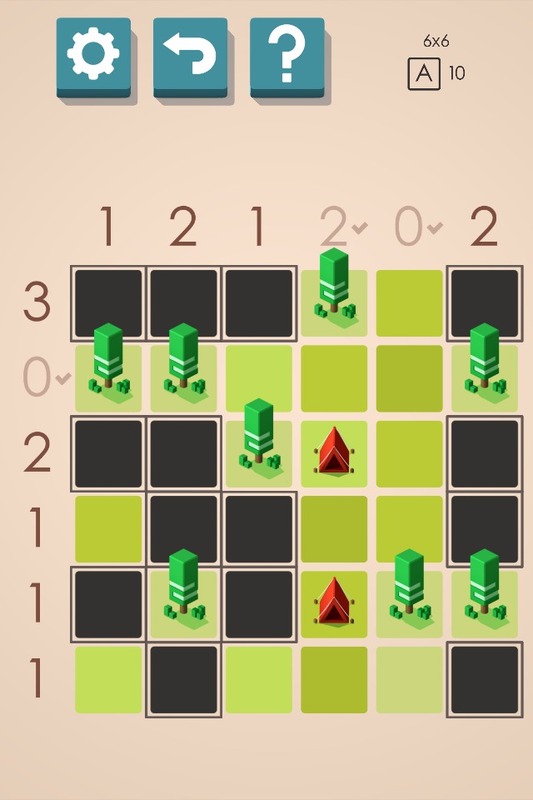 Place a tent next to each tree in this original puzzle game! 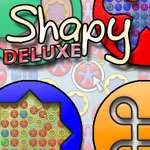 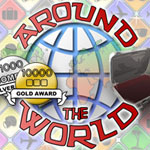 New exclusive levels every day, unlimited free hints, offline play and much more! 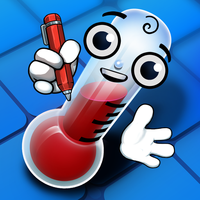 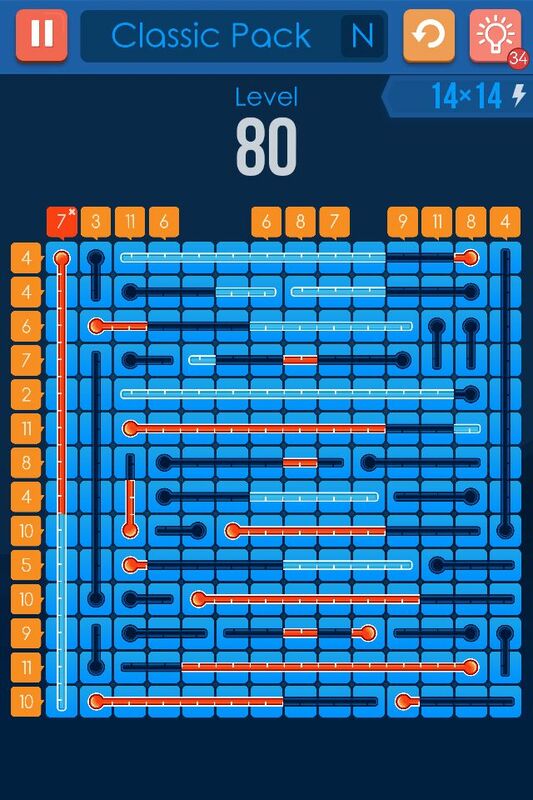 Fill the grid of thermometers with mercury in this puzzle game inspired by picross, sudoku and battleship solitaire! 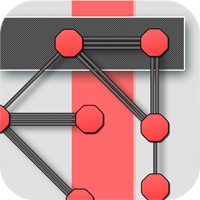 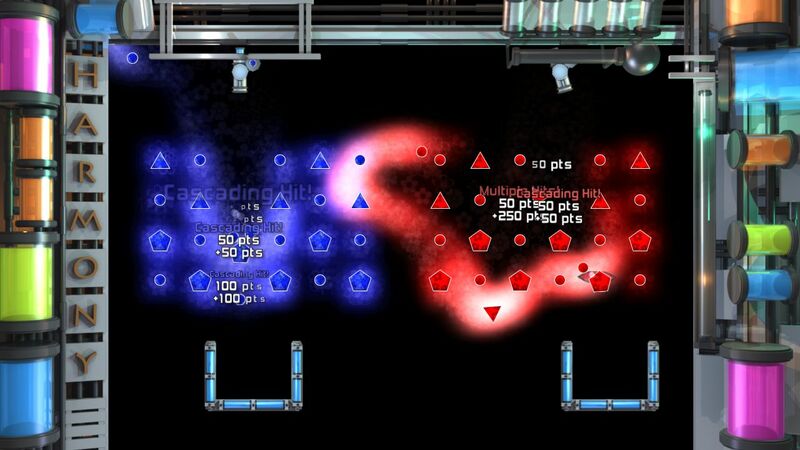 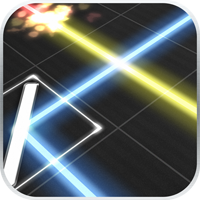 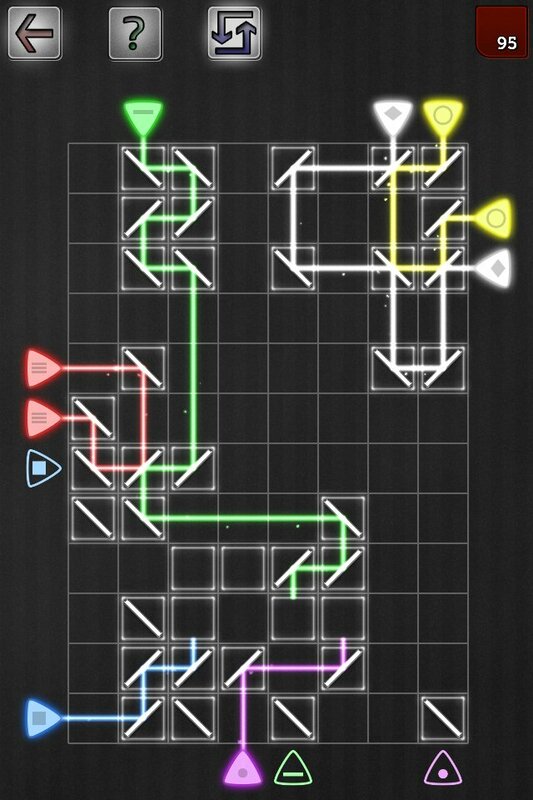 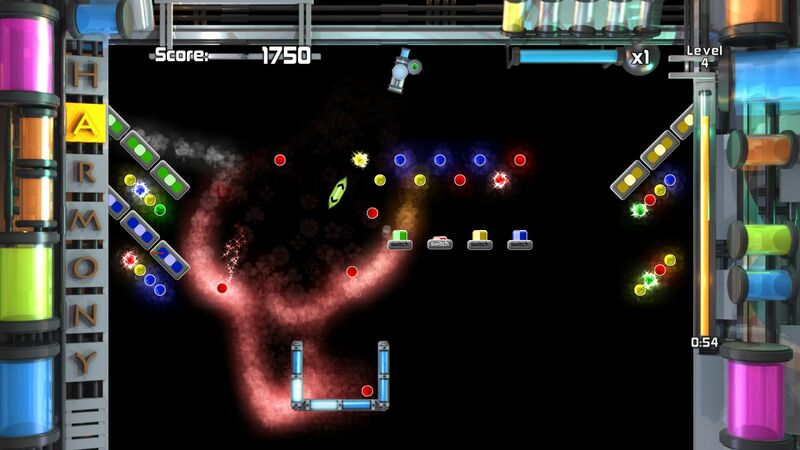 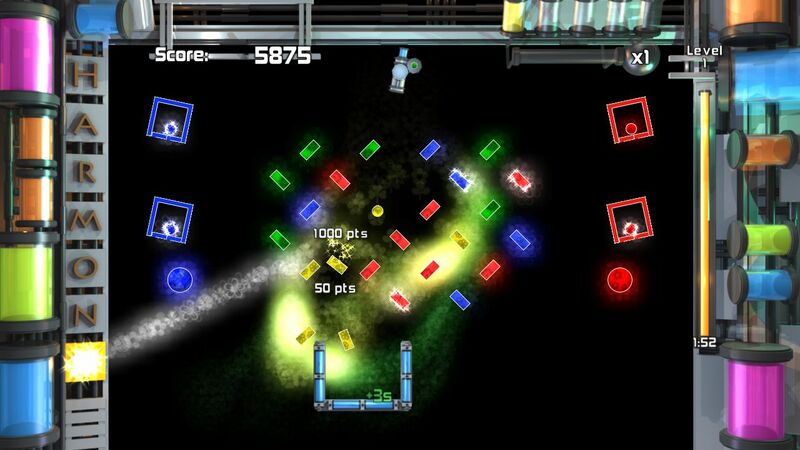 In this logic puzzle game, place mirrors to direct the lasers to their proper exit! 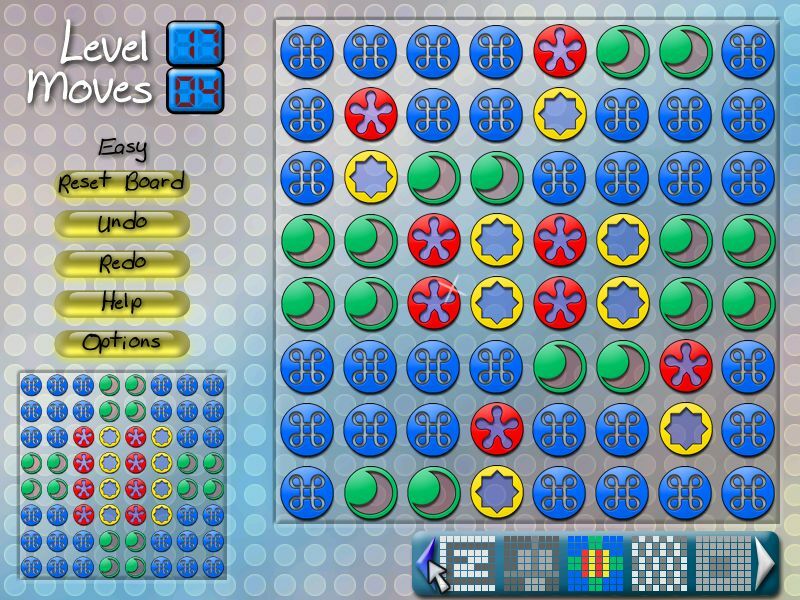 Guess the orientation of the mirrors with logic only in 1040 levels. 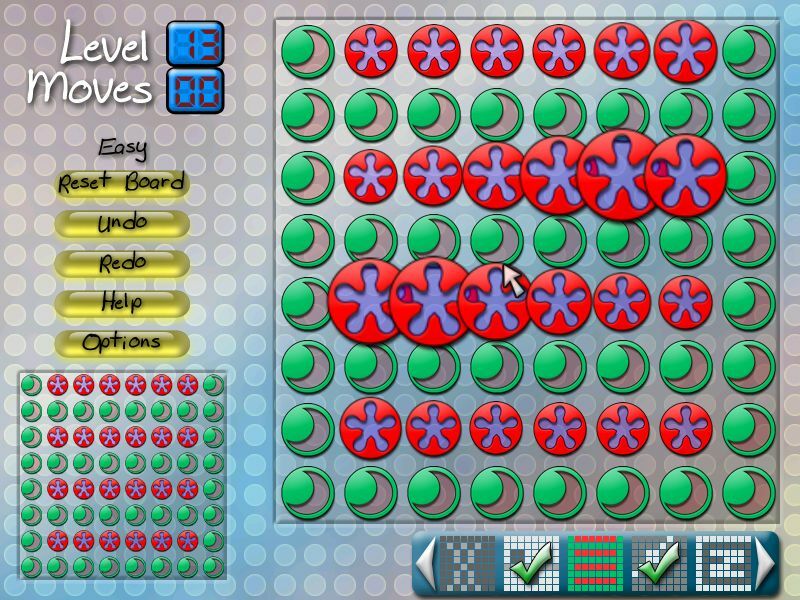 No random moves. 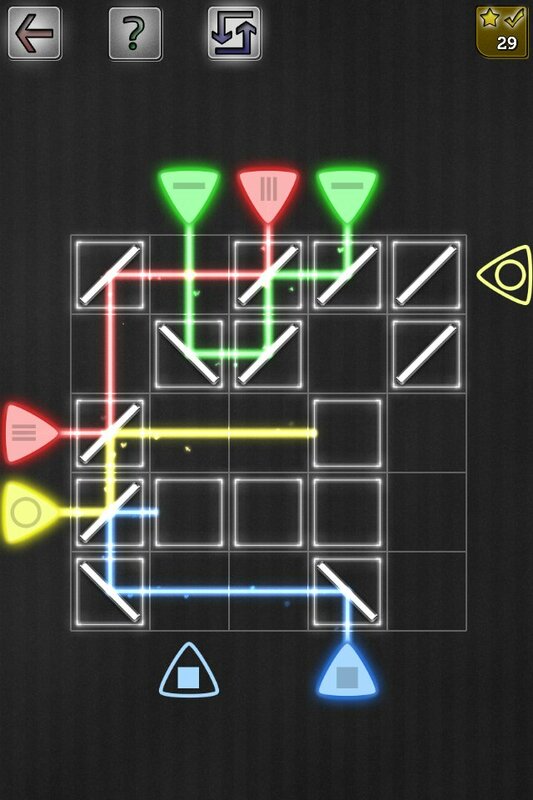 Take Hashi to a whole new level with variants on the classic puzzle game! 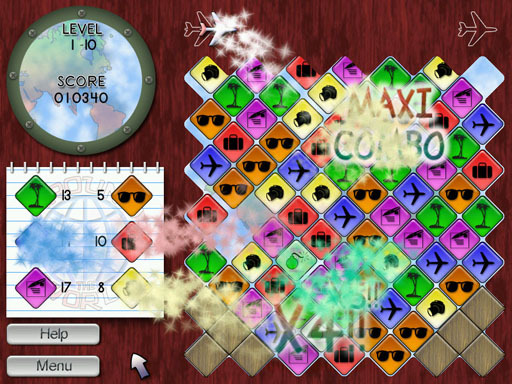 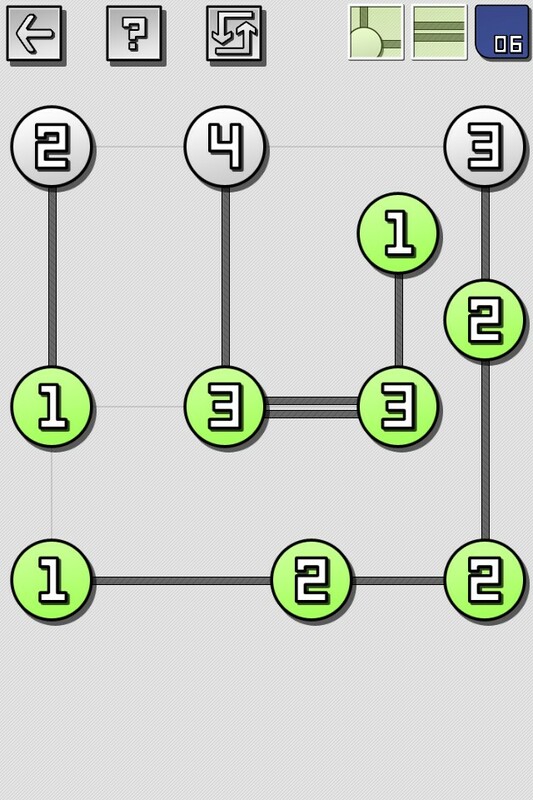 Use your logic only to connect the islands together and solve the 1120 puzzles. 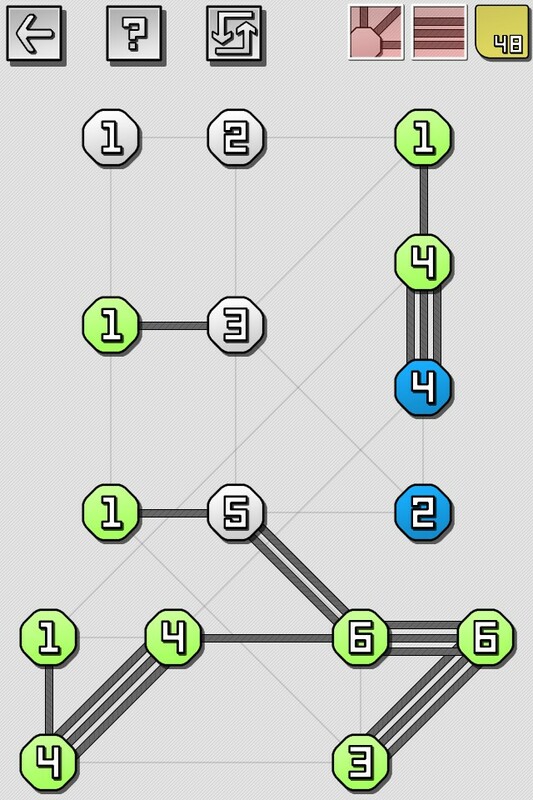 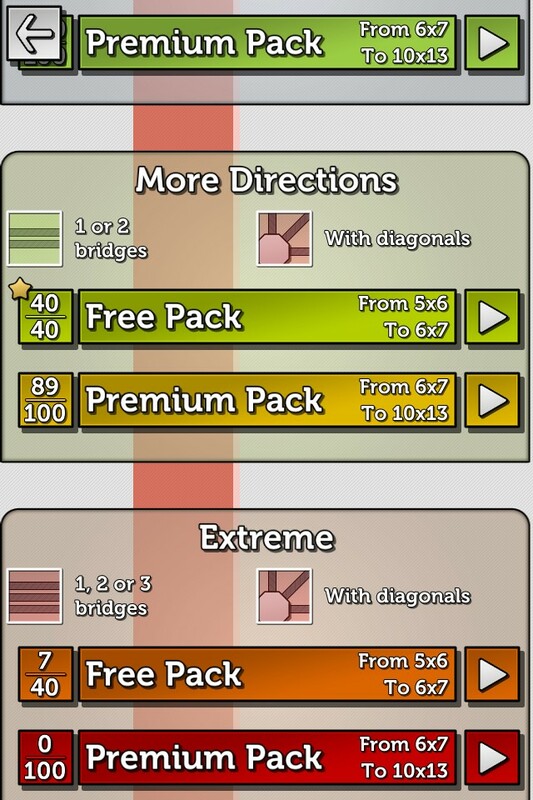 Variants with more bridges and diagonals will keep you entertained for days. 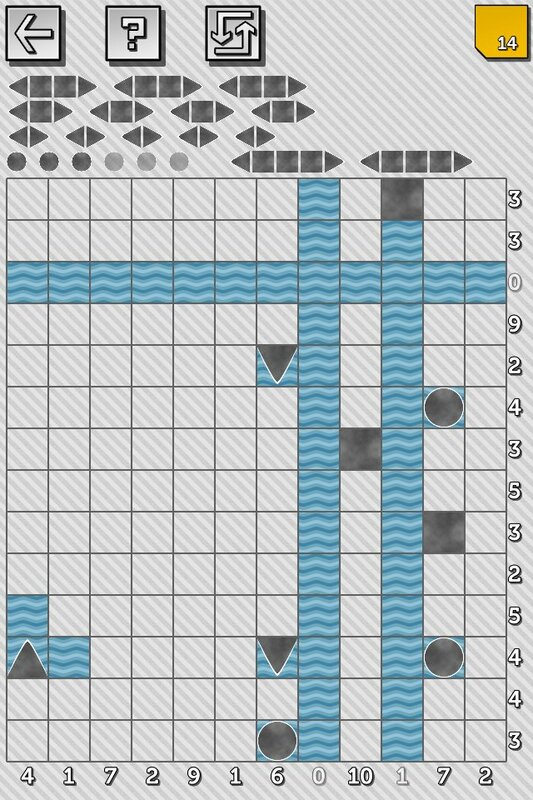 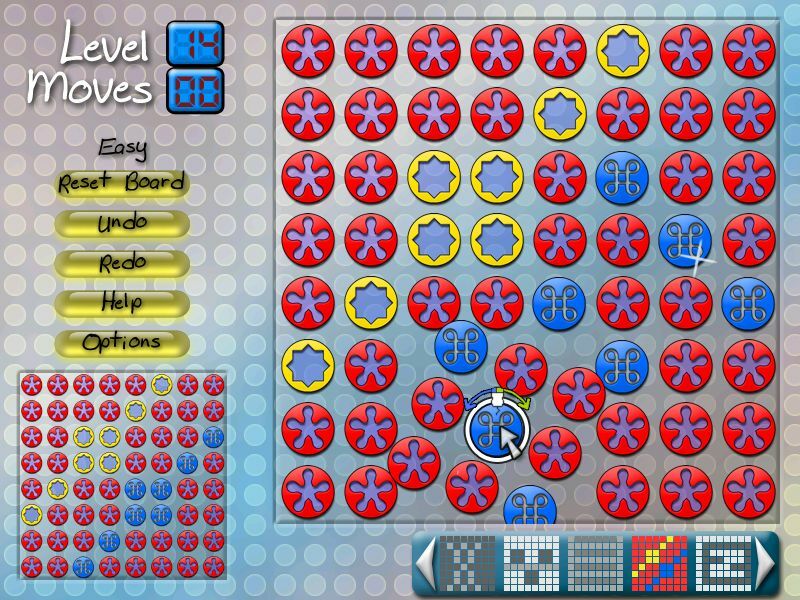 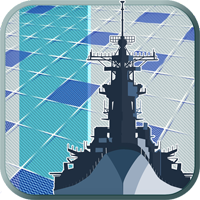 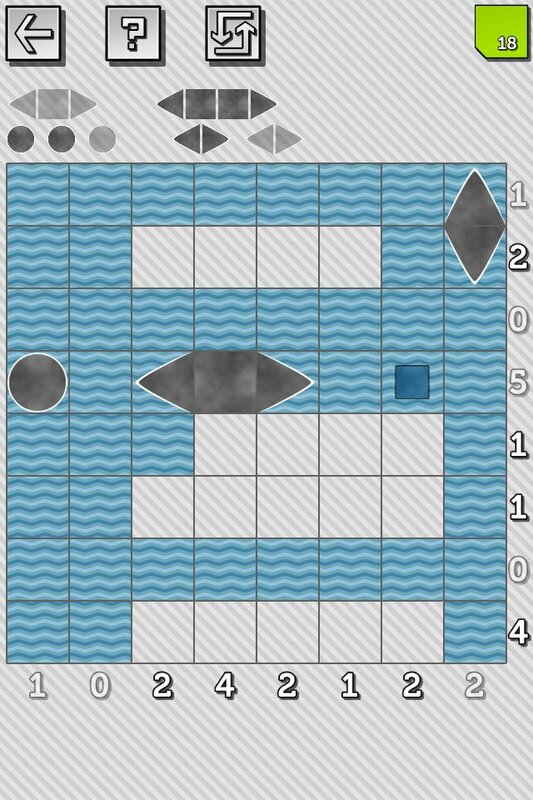 In this logic puzzle game, you need to find the battleships hidden in a grid. 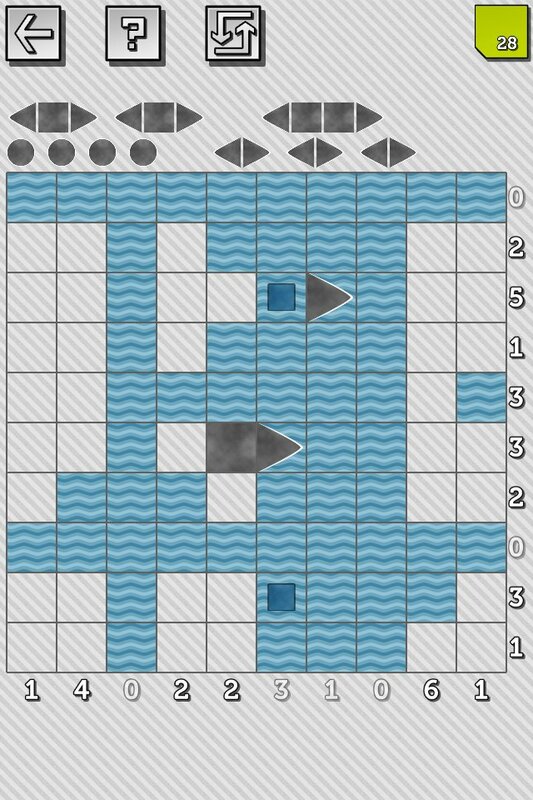 Guess the location of the boats with logic only. 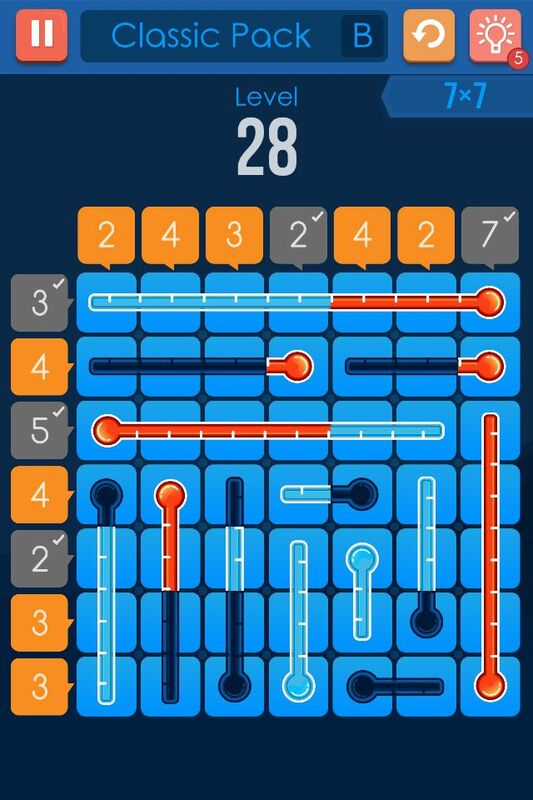 No random moves. 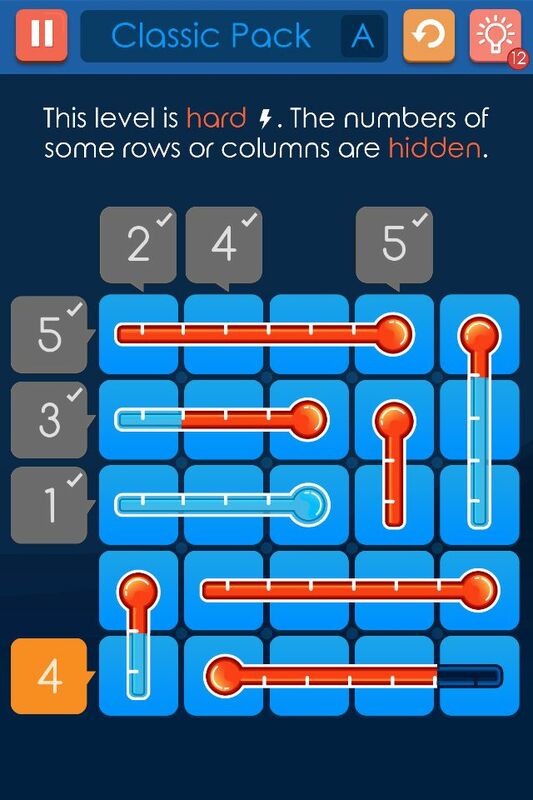 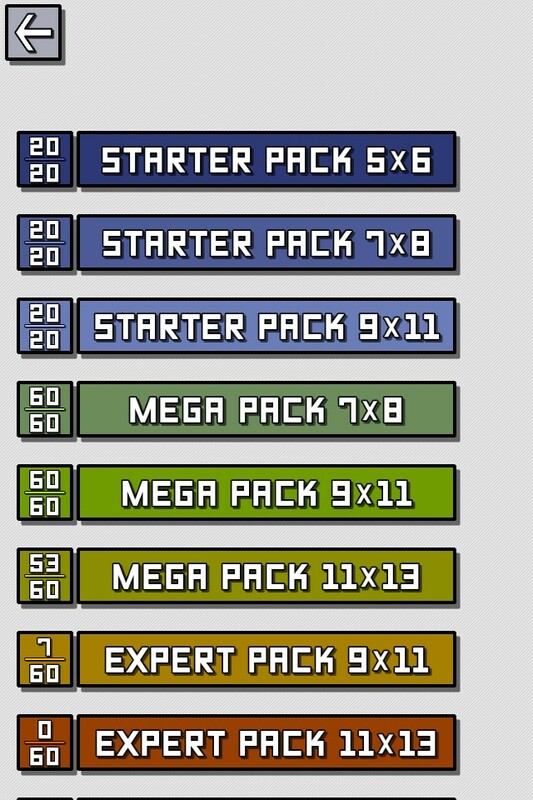 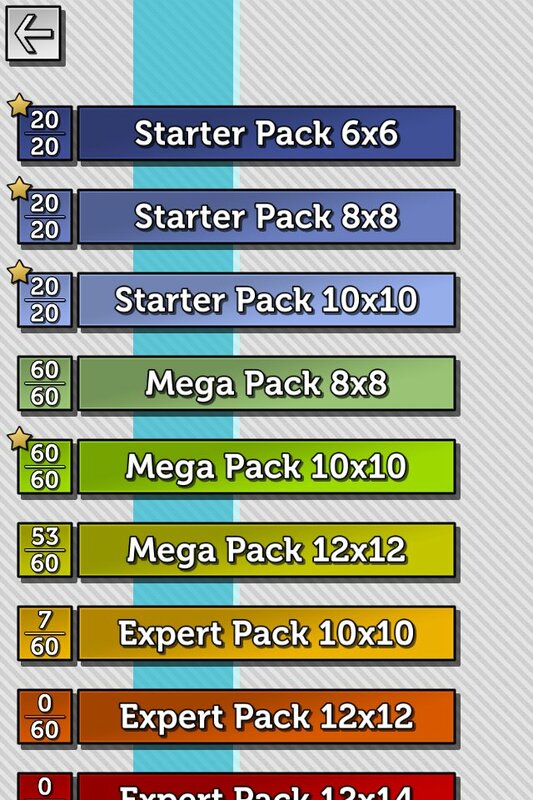 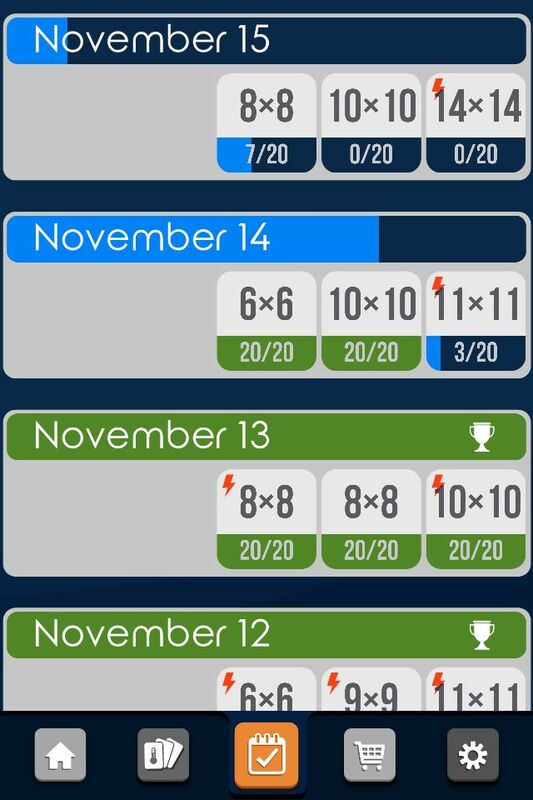 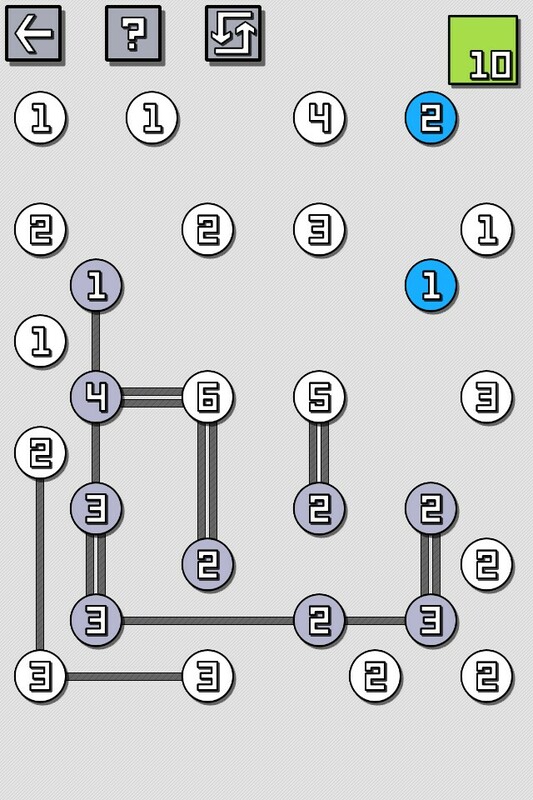 Use the hints displayed at the end of each row and column to help you solve the 720 puzzles. 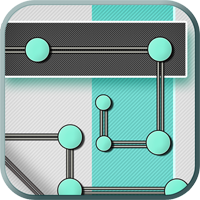 Hashiwokakero (also called Ai-Ki-Ai, Bridges or Chopsticks) is the new sudoku-like game that will keep you entertained for hours! 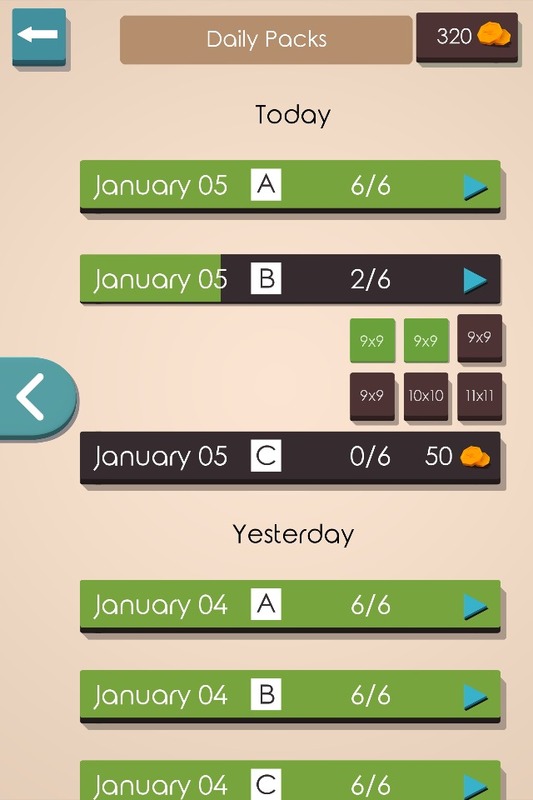 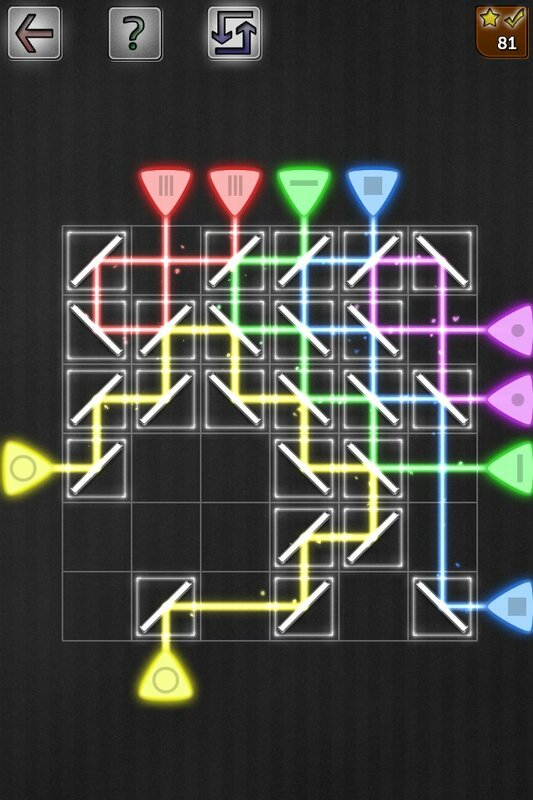 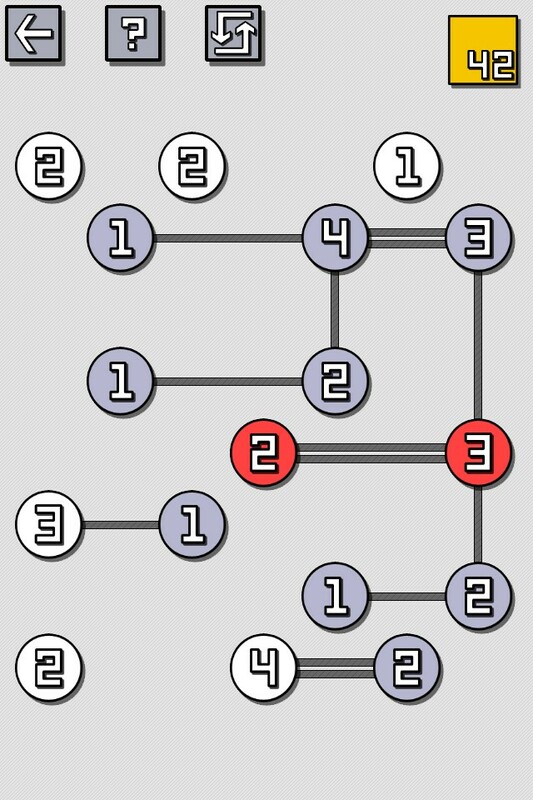 Try to complete every levels of this logic puzzle game! 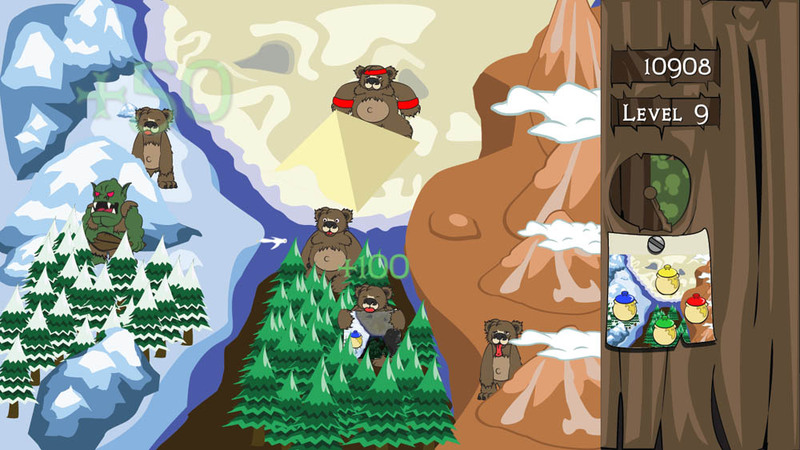 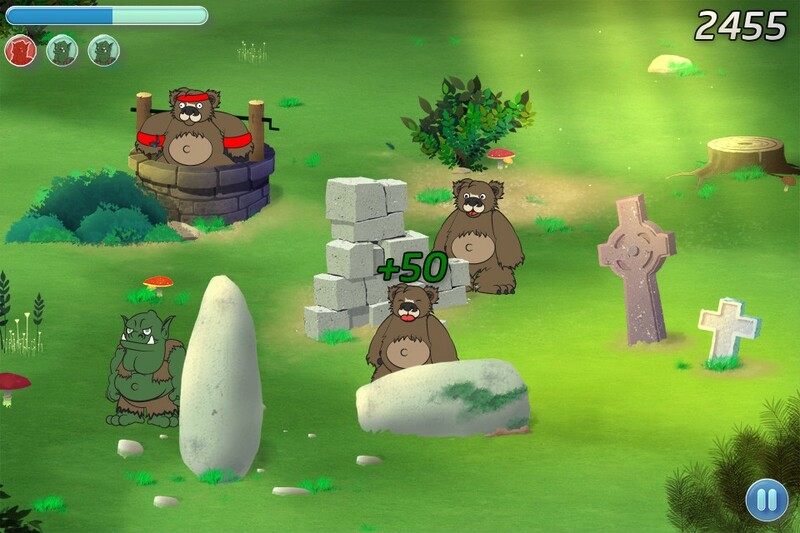 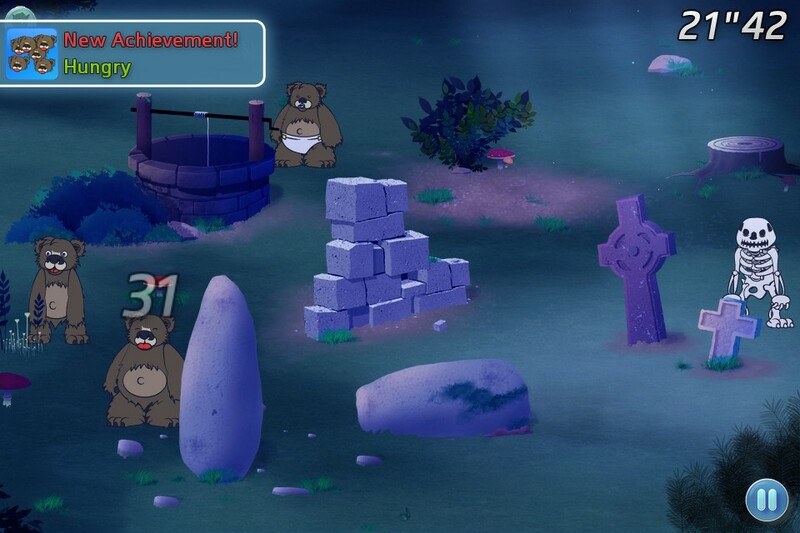 You will need sharp reflexes to feed the bears while avoiding the trolls getting in your way. 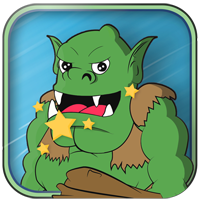 Don't get scared and chase the trolls away with huge slaps! 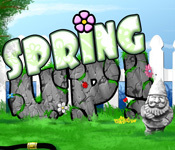 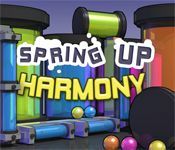 The realistic physics of Spring Up! 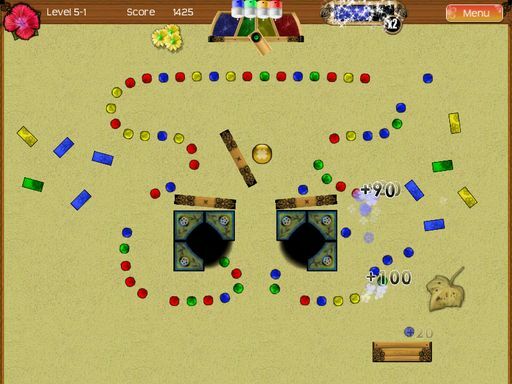 offer a unique experience with bouncing balls and bricks! 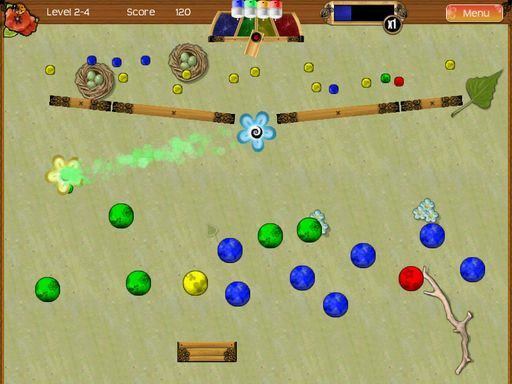 Clear the 72 levels by launching balls on color-matching elements with the help of fans, bumpers, teleporters and various dynamic items. 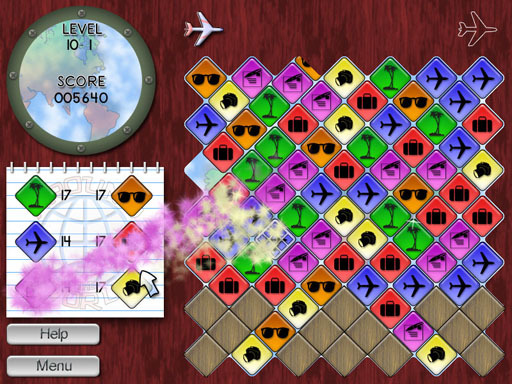 Travel through 100 cities in this original color-matching puzzle game. 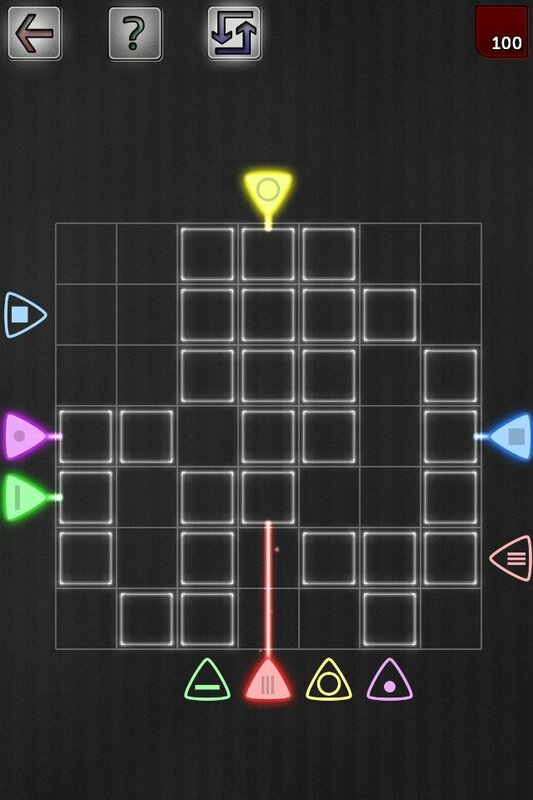 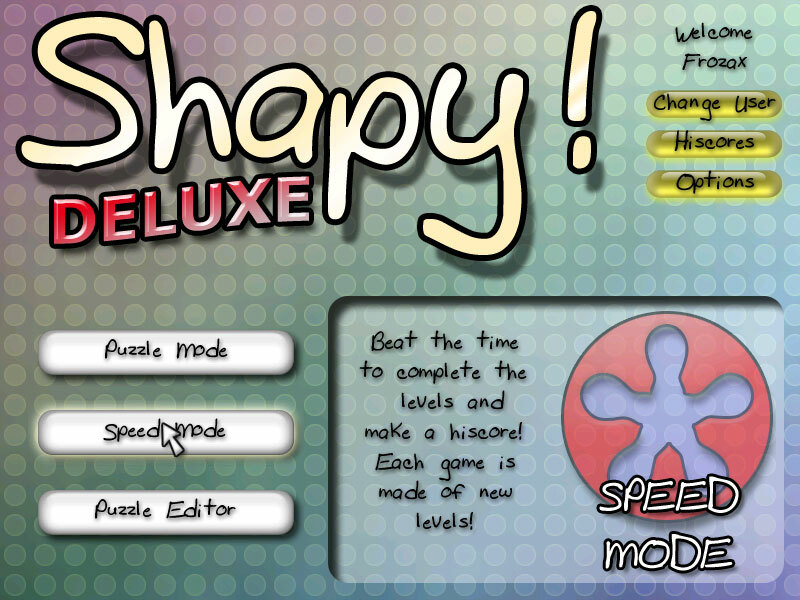 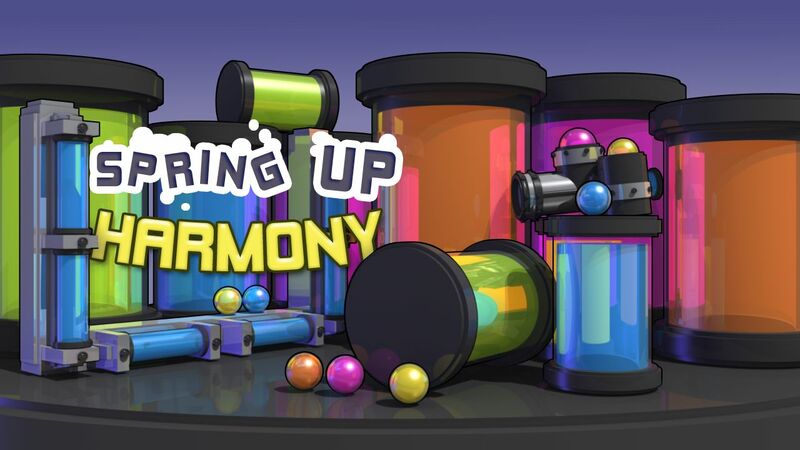 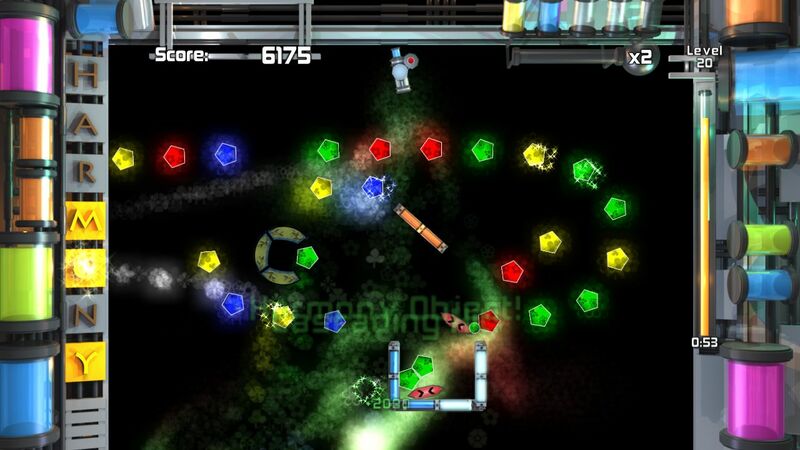 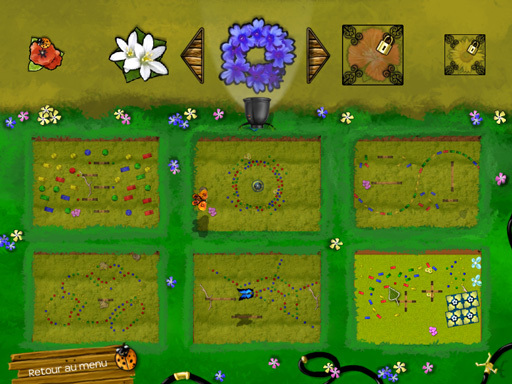 Try this innovative puzzle game with an original and challenging gameplay. 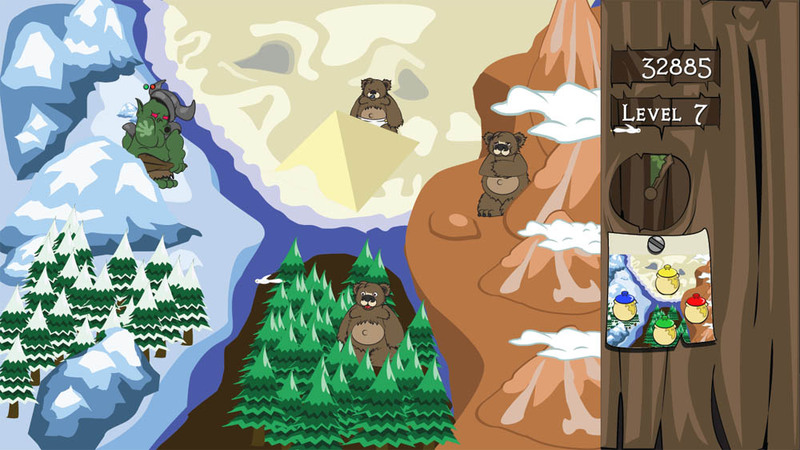 In a world of mountains and forests, honor the famous warning: "Don't Feed the Trolls". 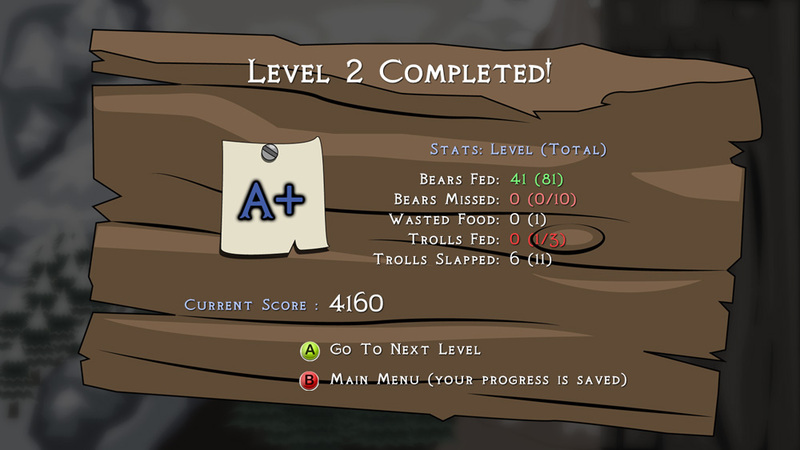 You need sharp reflexes to feed the bears without accidentally feeding a troll. 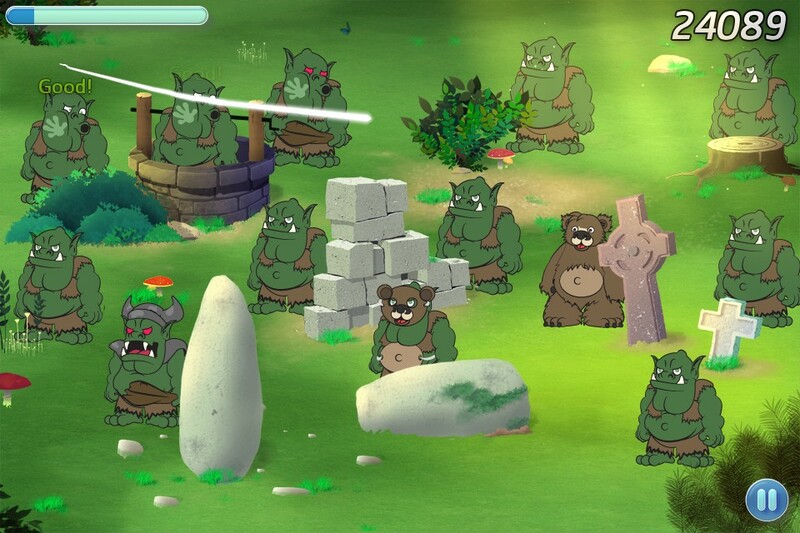 Be careful, because the mighty trolls are desperate and will do anything to trick you. 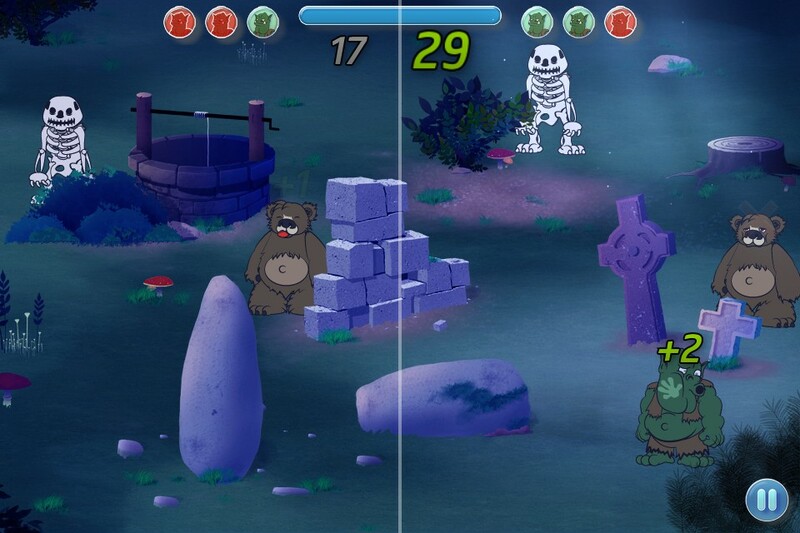 Don't get scared and chase them with huge slaps! 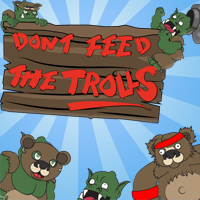 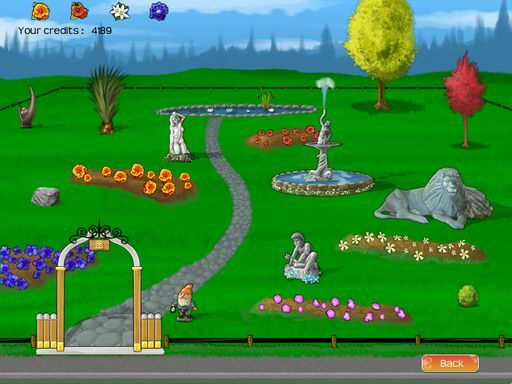 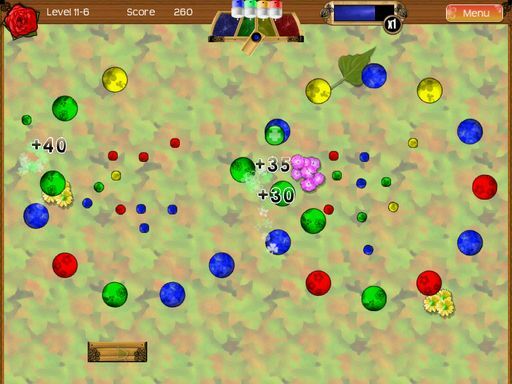 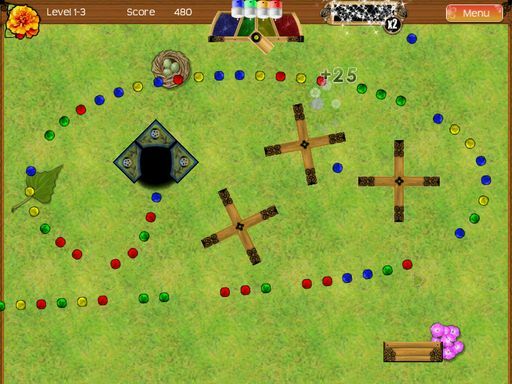 Don't Feed the Troll is a fast-paced reflex game played in 1-minute levels. 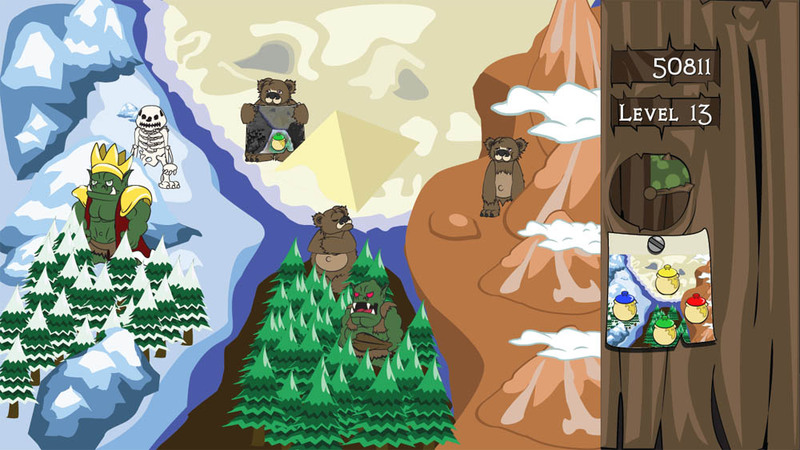 Amongst the starving bear, the stubborn bear, the disguised troll or the king troll, a total of 12 kinds of bears and trolls will add originality and variety in each level. 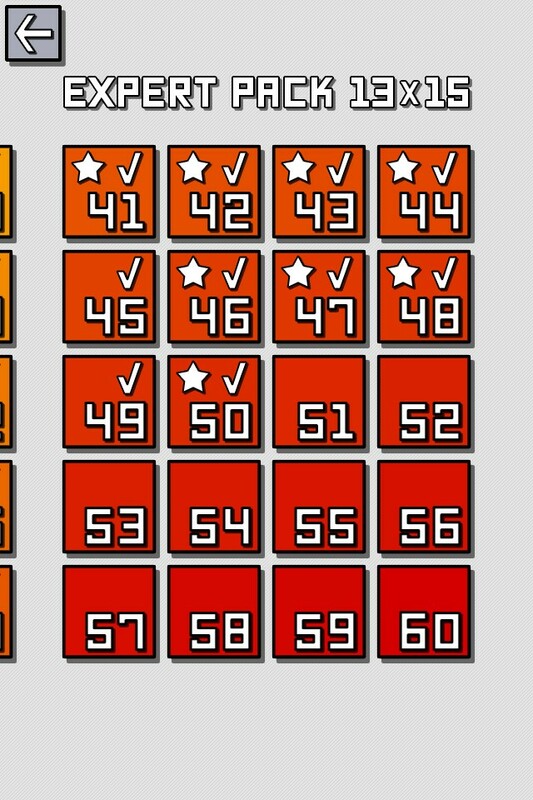 Compare your scores with your friends and the best players with the online leaderboards.